Credible Witness made it two wins on end with a strong win at Bendigo on Sunday. 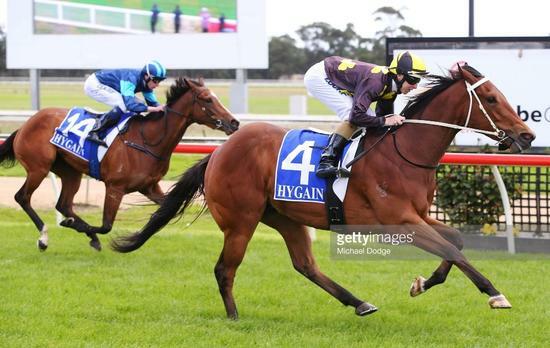 Carrying 60kg in the Schweppes Australia Benchmark 64 Handicap over 1100m, Credible Witness settled just behind the speed before looming to challenge around the home turn. Damian Lane asked for an effort and Credible Witness quickened into the lead and then held off Raiza Flame to score and make it two wins from four starts since joining the stable. Lane said the way the race was run and the conditions suited Credible Witness. “He normally likes to race quite handy but there was some good speed on in the race so I was happy to let a couple go,” Lane said. “It actually worked in our favour as he travelled nicely - sometimes he can want to get his head up and be a bit awkward but he was nice and kind in the run. Lane said the son of Star Witness will now have to take a rise in class. “He’s racing really well and now he has to take the step up in grade which will be harder but Scott and Russell have done a good job placing him to win two in a row.” Lane said.